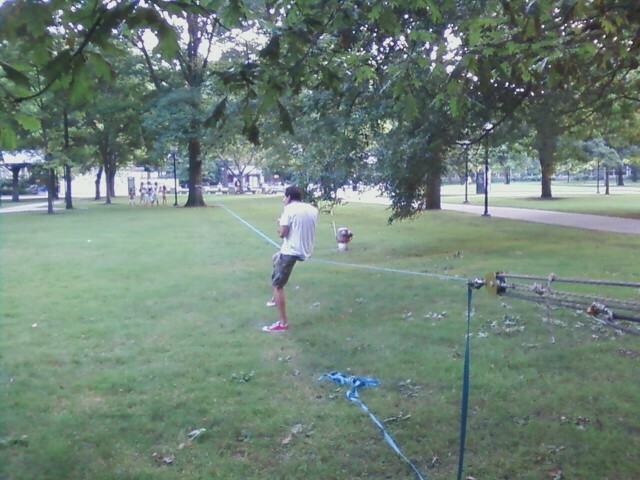 Saw this dude slacklining on this 35 m slackline on the Diag on Friday night. When I asked if I could take his picture, he asked me if I slacklined. "I've dabbled." I responded. "Well we've got a group that meets here Monday nights," he said. "We have all levels." Friends, if you want to go slacklining, there is a group meeting tonight on the Diag. They are both very similar to each other and generally carry the same or similar items or brands, but not always at the same time.